The author uses decades of experience and interviews with experts in precision medicine to explain past, present, and future of precision medicine. 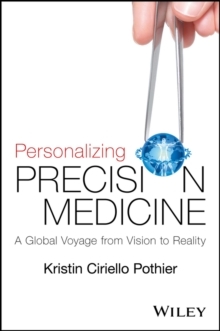 She reviews the full continuum of personalizing precision medicine, including diagnostics, therapeutics, big data, supportive care, regulation, and reimbursement and innovation in precision medicine worldwide. Combines a unique cross section of history, current technologies, and future directions for how precision medicine has and will affect people worldwide Reviews precision medicine around the world, including the US, China, Japan, the Middle East, India, Europe, and Latin America Discusses a number of diseases areas cancer, cardiovascular, neurodegenerative, infectious disease, pain, immunology, rare diseases Includes information and quotes from over 100 interviews with key industry experts in biotech, pharma, informatics, diagnostics, health providers, advocacy groups, and more.